Have you ever read terrible reviews of an item that you’ve then ended up loving? Or recommended a brilliant product to a friend, only for her to absolutely hate it (and leave you feeling really guilty for her spending £20 on a moisturiser)? The fact is that we’re all different, and what works for you won’t necessarily work for someone else. In our new series of posts, ‘One Girls Trash…’, we provide two reviews for the same product to see whether a product with a bad rep really deserves to live in the metaphorical beauty doghouse, or whether it’s just a simple case of ‘you say tomato, I say this is frickin’ awful’. 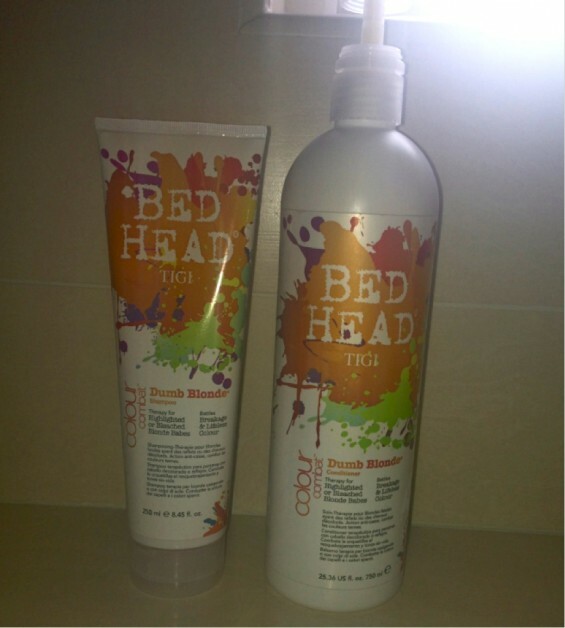 We start with a review of Bedhead’s ‘Dumb Blonde’ shampoo and conditioner. My friend recently contacted me, furious that she had spent so much on hair products that definitely haven’t lived up to the hype. I’m going to try this same range later in the week to see how I find it, but for now have a read of Beth’s review. You can find Beth on Twitter at @xbethsharpe. After months of nagging by my hairdresser to purchase a better shampoo for my newly bleached locks, I finally gave in and decided to try Bed Head’s Dumb Blonde Shampoo and Conditioner. Specifically designed for Highlighted and Bleached Hair. 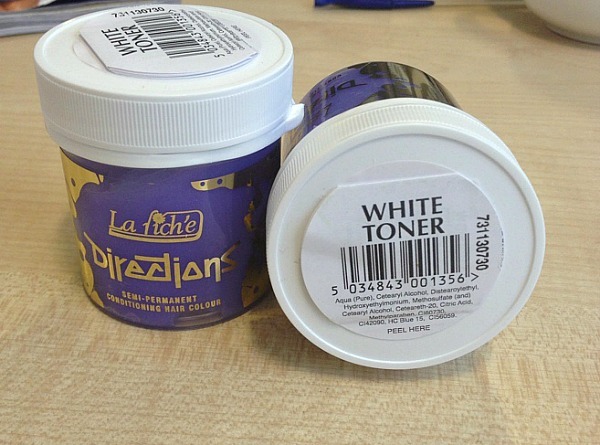 This was purchased from FeelUnique.com, where I paid £9.30 for the shampoo and £17.00 for the conditioner in the hope of achieving strong, healthy and vibrant blonde hair. On the website it boasts of a product that is a perfect, protecting blend of nourishing elements balance bleached & multi-processed hair for an amazing, healthy look & TIGI’s Colour LockDown Technology helps safeguard against fading so colour tone stays pure & perky. Throw on 3-5 minutes for a full-on mask or massage into ends daily for high maintenance hair. – Helps repair surface damage and strengthen hair. 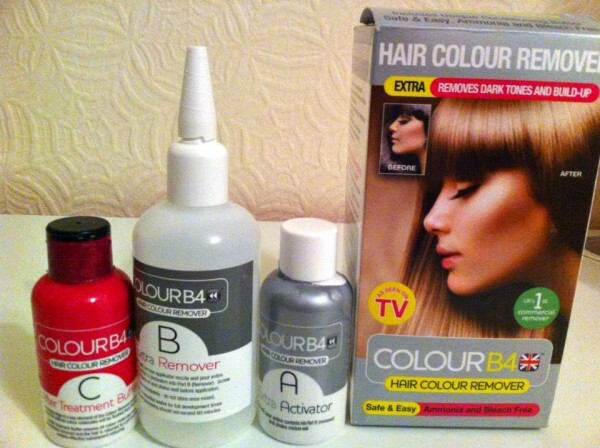 – Adds shine and maintains colour vibrancy. – Can be used as a hair mask. – Protects from UV and thermal damage. I was really hoping that this product would be my new favourite product in my bathroom cabinet, after all, the hefty price tag would definitely be justified to have the amazing hair it promises, right? Wrong! I couldn’t be more disappointed. The shampoo wasn’t that best, it was really thick and difficult to lather and I found it sticking to my hair as I tried to wash it out. It was a nice pearly pink colour and smelled of strawberries though! When the time came after that horrific experience to blow dry and style, I was hoping that the problem would vanish. However, after spending double the time blow drying than normal, I was left with a greasy, waxy mess which was difficult the brush. It looked like I’d washed my hair in chip fat, I might as well not have washed my hair at all! As for the styling, well, it was like straightening straw dipped in maple syrup, so I gave up and hopped back in the shower, this time with my trusty Dove Daily Care shampoo. Never again would I go out of my way to buy expensive shampoos and conditioners, when the cheaper everyday brands do a much better job! Avoid this product like the plague! 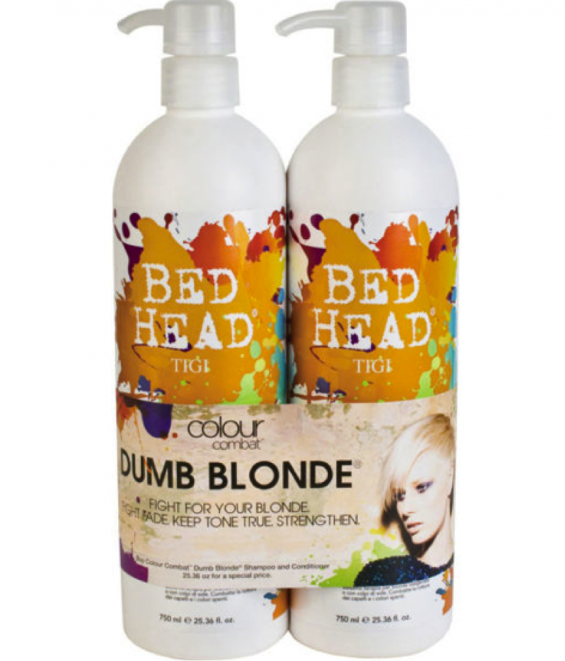 Have you tried the Dumb Blonde range from Bedhead? 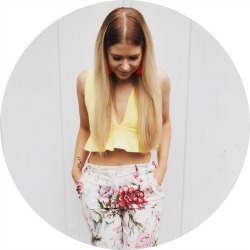 What did you think – will I be more successful when I give it a go later in the week? Have you tried TIGI’s Catwalk Fashionista Violet Shampoo? I recently purchased it. It’s from the same company, but I heard better reviews about it since you’re probably the second reviewer I’ve read that doesn’t like this Dumb Blonde shampoo. Maybe that would work better for you?